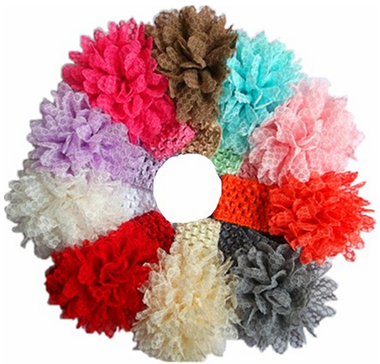 10 Lace Flower Headbands Just $5.99 PLUS FREE Shipping! You are here: Home / Great Deals / Amazon Deals / 10 Lace Flower Headbands Just $5.99 PLUS FREE Shipping! These headbands look so cute! You can get 10 Lace Flower Headbands for just $5.99 with FREE shipping! The reviews look great, too! That’s just $0.59 per headband!